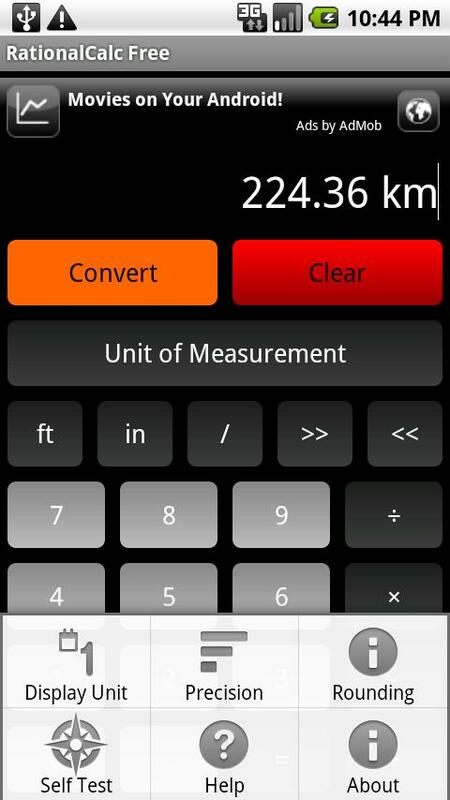 RationalCalc Free is a unit-aware project calculator for calculating length with automatic unit conversions. Features rounding up or down to common fractions, such as 1/4, 1/8 and 1/16. Automatic conversions between imperial and metric units. High-resolution rational calculations are maintained behind the scenes. Set the "Display Unit" and "Precision" from the menu to match your situation. Mixdown the result to your desired tolerances. Useful for carpentry, machining, surveying, blueprints and DIY projects. 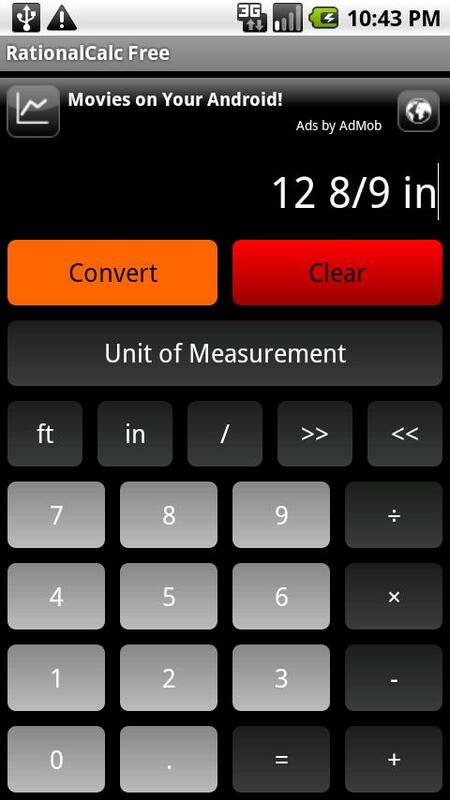 A Fraction Calculator for Android! @Bobby -- Quick, easy and not all cluttered up. It simple ...cut and dry. Awesome! @Eric -- Great app This app is a great tool for any builder. @Juan -- Muy buena, gracias! La mejor para calcular problemas de fracciones o quebrados, gracias! @Tyrone - Much handier than you might think at first, especially if for carpentry and machine shop work. @ERIC - Awesome… Spot on app. Thanks for making it.